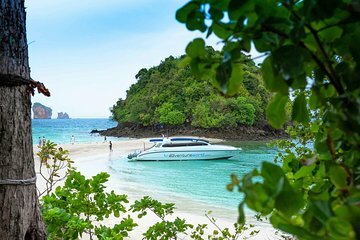 Avoid the crowds with an early start from Phuket for this full-day tour to four destinations among the Krabi islands and Railay Beach. Have lunch at a resort on Railay, and spend time at Tup Island, Chicken Island, Phra Nang Cave, and other stunning locations. You’ll see sheer limestone cliffs and beautiful beaches, and stop at a sandbar, a waterside cave, and great snorkeling spots.